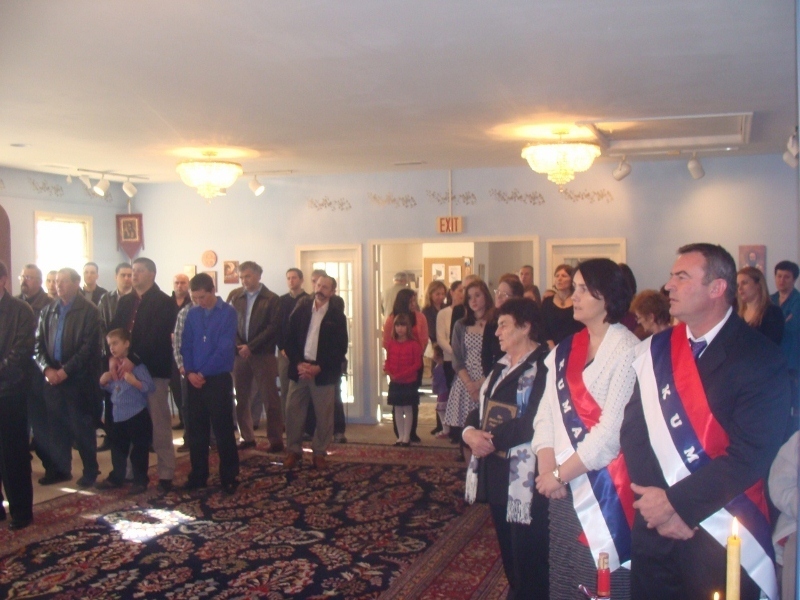 Charlottlesville, VA - On Saturday, January 28, 2012 a holy Divine Liturgy was served by Father Dragan Zaric from Charlotte, North Carolina at St. Nicholas Ukrainian Orthodox church in Charlottesville, Virginia. In attendance were approximately 70 worshipers from both Charlottesville and Richmond. 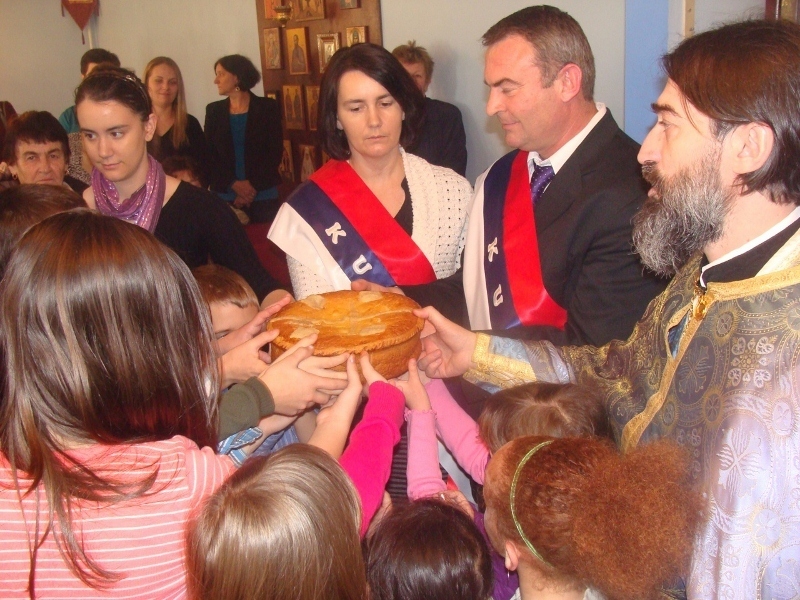 After the liturgy, Father Dragan, along with Kum Zeljko Matic performed the ritual of breaking the Slava bread, with the participation of all the children in the church. 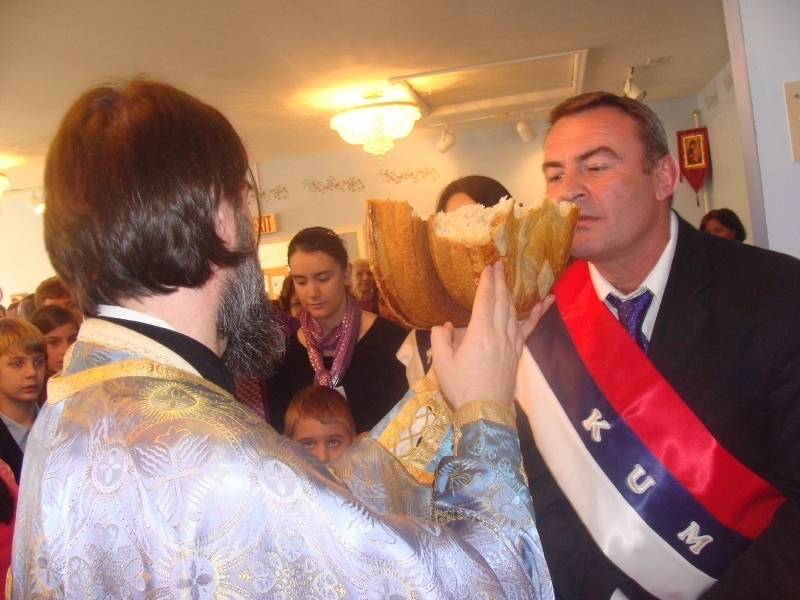 After breaking the Slava bread, Father Dragan invited parishioners to take up the role of Kumovi for the coming year. 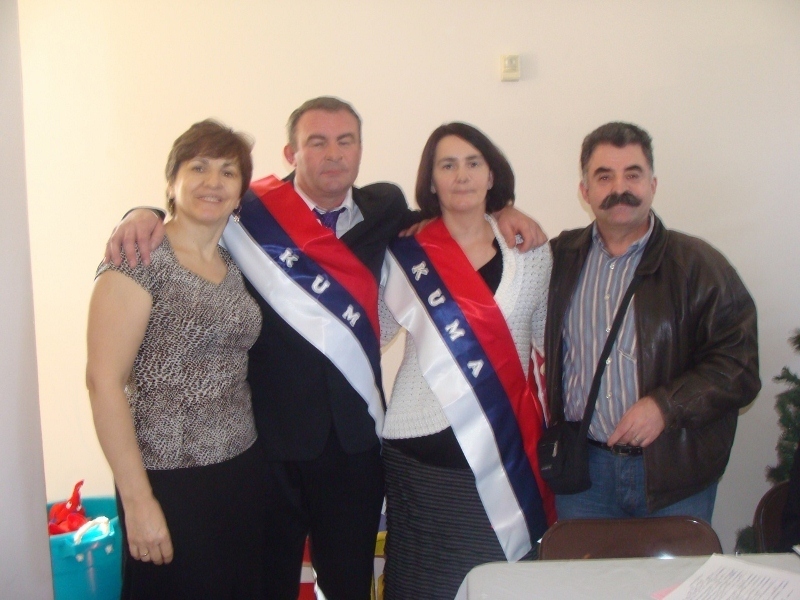 The Kumovi for this coming year will be Ilija and Sanja Mitrovic. 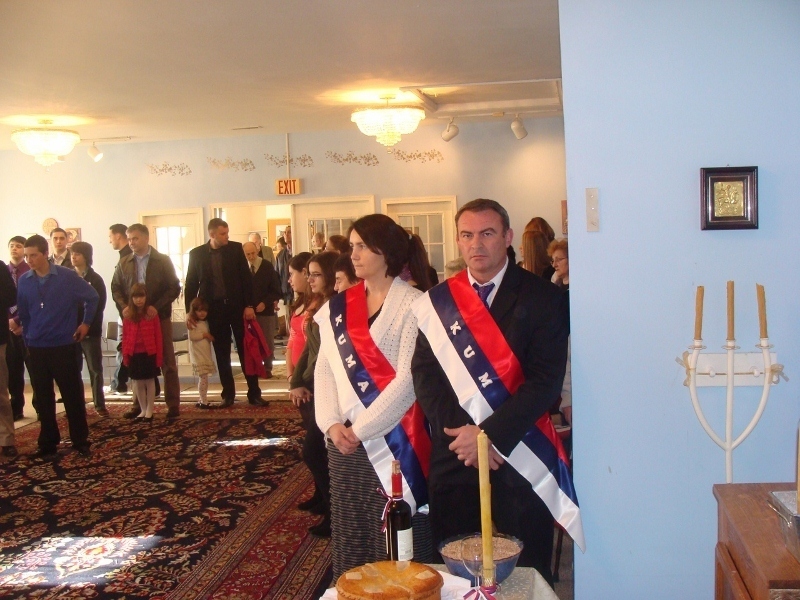 Kum Zeljko thanked all the parishioners who helped with the preparations for the day, and especially the Circle of Serbian Sisters for the hearty feast. 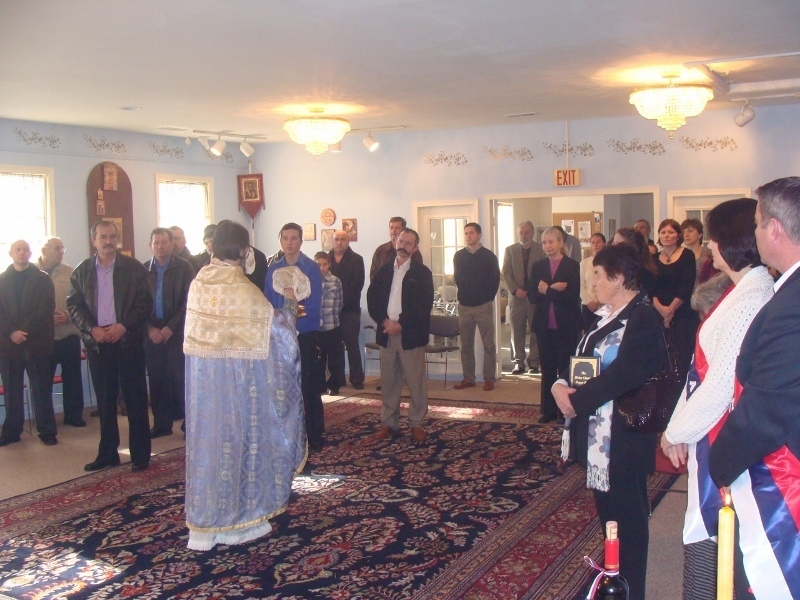 A short program of recitations was ushered in by the singing of the hymn to Saint Sava, and the Kumovi handed out presents to all who participated in the recitations. 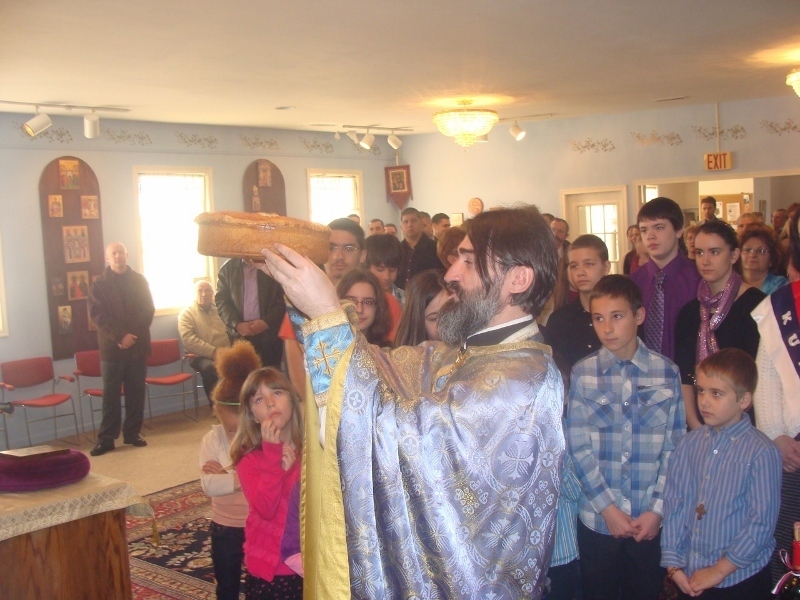 After the program and the blessing of the food by Father Dragan, the Slava meal was served.